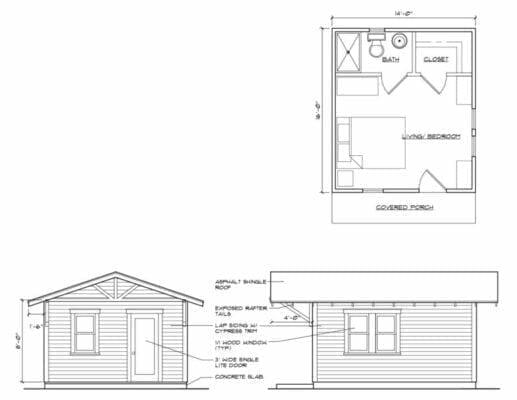 Last fall we were approached by a woman who was interested in building a cottage in her son’s back yard in St. Petersburg. 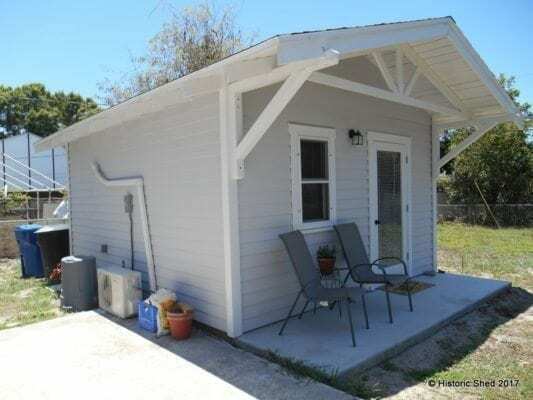 We looked through the local zoning regulations and found that the property allowed for Accessory Living Units (ALUs), but not Accessory Dwelling Units (ADUs). The difference between the two in St. Petersburg zoning was that she could build a cottage, but would not be allowed to have a full kitchen with an oven. Other areas of St. Petersburg, mostly in the historic neighborhoods closer to downtown, do allow full cottages with full kitchens (ADUs). When considering a secondary dwelling behind an existing home (carriage house, in law suite, granny pod, guest cottage, rental cottage, etc. 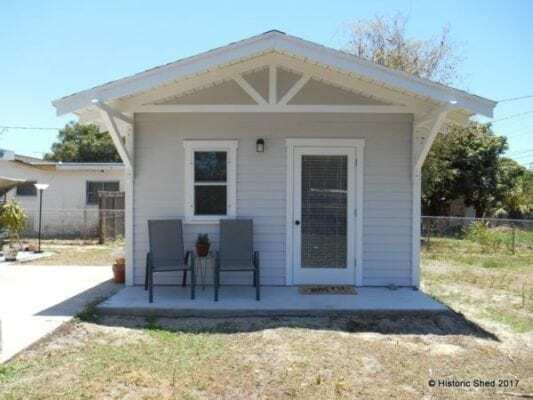 ), always check local zoning regulations first as it will tell you if you can build an accessory dwelling unit, if it can have a kitchen, where it can placed (setbacks), and if there are any size limitations. Most communities have their zoning regulations available online at: https://library.municode.com/fl and offer a myriad of information on what can be built where. For this project, we adapted our 14’x16′ Starlet Cottage plan for our customer’s use, turning the kitchenette area into a walk-in closet and adding a roof extension over the front door to create a porch seating area. 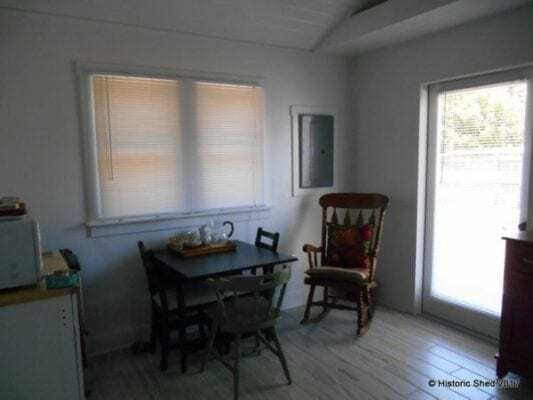 The end result is a comfortable and nicely appointed cottage. 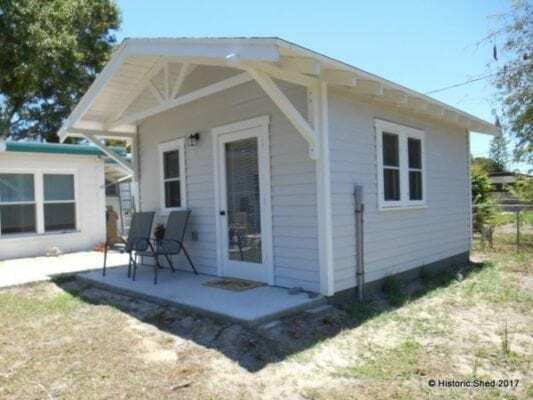 See details here, although the closet and bath ultimately were reversed: Starlet Cottage Plan In addition to meeting the zoning requirements, the cottage meets all Florida Building Codes and is legal for full time living. The front gable roof was extended to 4′ to create a covered seating area. The 224 sf cottage is set on a concrete slab so she wouldn’t have to deal with stairs. 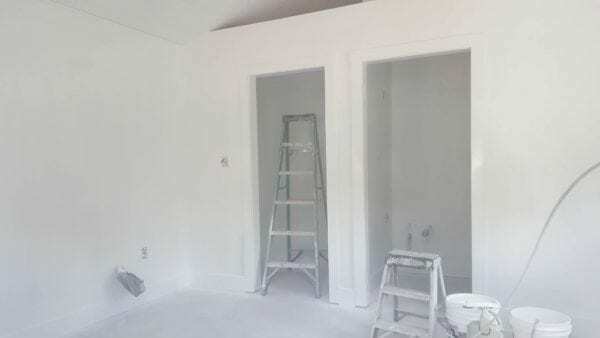 The cottage interior under construction – bath on the right, closet on the left, storage loft above. 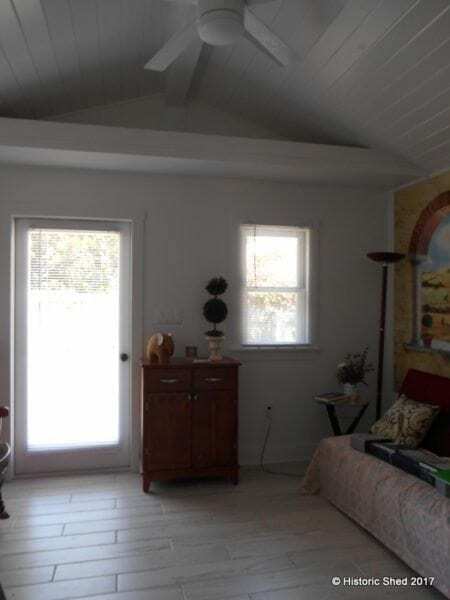 The front area of the cottage is an open room with cathedral ceiling and a storage shelf along the top of the wall. A small seating area fits nicely along the side wall. The flooring is ceramic tile with a weathered wood look. 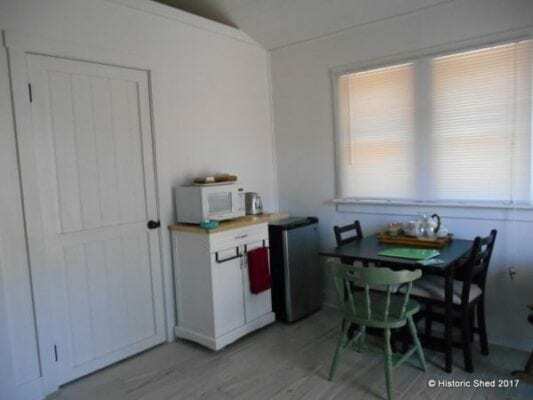 While the cottage was not allowed a stove/ oven, there is room for a small refrigerator and microwave. 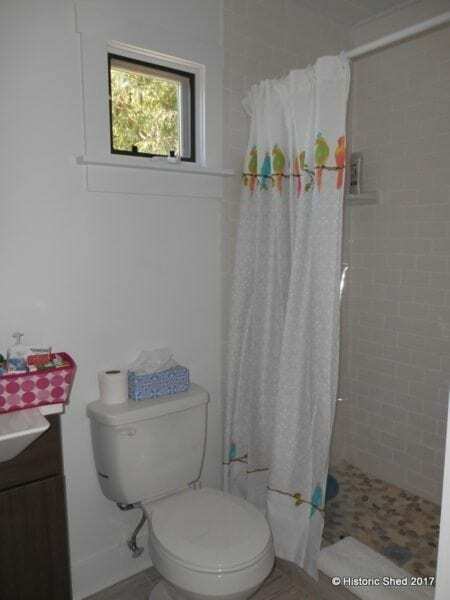 The bath meets Florida Building Code requirements and includes a nice sized shower. A tankless water heater is located in the adjacent closet. 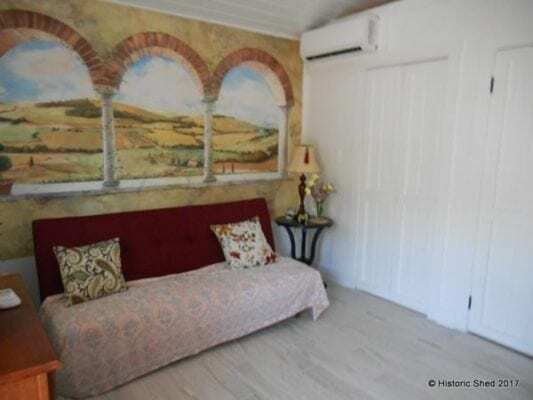 The cottage was designed with a windowless wall so that the owner could install this lovely Tuscany scene. Once the landscaping goes in, this custom Starlet Cottage will be quite pleasant.